Blogger blogging platform allows publisher to upload and embed photos, pictures or images into the blog posts without the need of third-party images hosting service. To upload images into Blogger, one uses the “Insert Image” button at the composer to open the “Add Images” pop-up, where one can choose and upload images from computer, choose images from pictures already uploaded to the blog, Google Album Archive, phone, webcam or a URL. Sometimes, after uploading photos to Blogger, you may want to edit the photo, or crop the image for better perspective, change to better image name for SEO, resize the image for faster loading time, or simply want to delete picture away from Blogger library, especially for accidentally uploaded copies. However, Blogger does not provide any method to delete or remove the images from the library. Instead, the “Add Images” dialog shows all pictures posted to the blog, but only allow user to add selected images to blog. 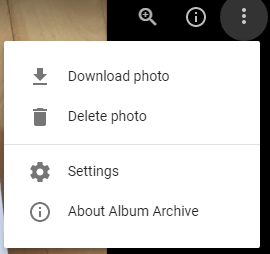 Photos, pictures, images, animated GIF and other media are uploaded and saved in the Google Album Archive. Google Album Archive stores all photos that user uploaded to other Google products, including Picasa Web Albums, Google+, Blogger, Hangouts, Google Photos and Google Drive, and allow users to view, delete or download the images. So in order to delete photos and images in Blogger, visit Google Album Archive. Go to Photos from Blogger and then the blog name to view all the pictures uploaded to that particular blog. Open the photo or album you want to delete, and click on More options and then Delete photo or Delete album option. Note that items that you delete will also be removed from any Google products they appear in, like Google Drive, Google+, and Blogger.